If I have to tell you what happened on September 11 I fear you have not been paying attention. I realize if you hang around long enough days that will live forever in infamy tend to pile up all over the calendar. But it’s no excuse for not being alert. Especially because other people are. 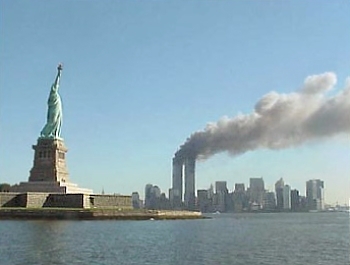 When I lecture on American history, and in my view a proper modern history course gets to the present day so I certainly include George W. Bush as he fades in the rear-view mirror, I mention to my students that September 11 was a day worth watching. Would you like a list of reasons why? Oh good. I was hoping you would. Now of course you can’t guard against everything or you guard against nothing. On the other hand, unlike the average American, the planners of 9/11 were aware of these things – and for whom the long sweep of history was part of every day, whereas if I asked my students about the siege of Vienna I doubt four in a hundred would know the year, let alone that it was the high water mark of a long, determined Ottoman jihad against infidel Europe. Osama bin Laden knew these things and was still bitter. In a famous video he spoke of 9/11 happening “after 80 years” which may have been a reference to the British in Palestine. And he was certainly still steaming about the expulsion of Muslim conquerors from Spain in 1492 to his dying day. So yes, you can’t pay attention to everything. But when your enemies are, you’d better be paying at least some attention to some things. There are no vacations from history and the bad guys aren’t looking for one. As we discovered on September 11, 2001 and, I hope, still remember.